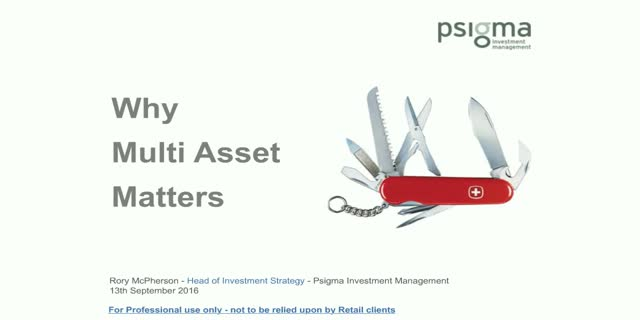 In this session Rory McPherson will discuss the changing landscape of Multi Asset Investing and whether we still expect it to be a key driver of returns in a post Brexit world. He will review where the returns have come from and focus on what future returns might look like and where they’ll be found. We look forward to you joining our call on 13th September with Rory McPherson, Head of Investment Strategy, Psigma Investment Management.